WESCO Sales Group, Inc., has partnered with several global leaders to offer one of the most comprehensive line cards for engineered thermal solutions. We have access to deep technical engineering resources and software to solve thermal issues from the printed circuit board to the enclosure. 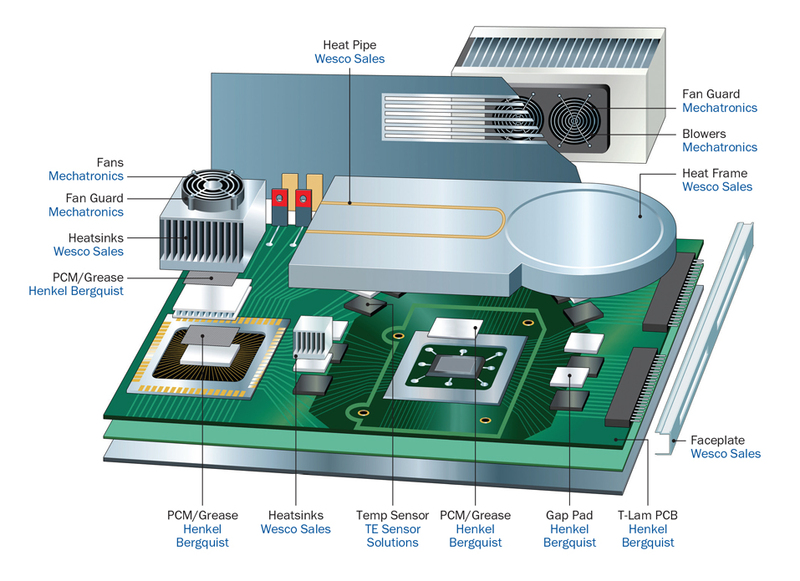 Our manufacturer’s products cover the broadest segment in the industry including heat sinks, thermal interface materials, fans, heat frames, etc. WESCO Sales Group is positioned to support your efforts with robust design assistance with the design for global manufacturing process in mind.